This coming Sunday is Fathers’ Day here in the US. Last month we celebrated moms and how special they are. This month, it’s our turn – dads. It takes a special man to not only be a participant in the conception of a child but also in the raising of that child. And this weekend we celebrate all the wonderful fathers who embrace this role of a lifetime. It’s a privilege for me to introduce a great friend of mine to our readers. When I launched The Upbeat Dad last October, one of the first persons I connected with on Twitter was Christina McGhee of Divorce and Children LLC. Since then, we’ve correspondent quite a bit and I just love her passion for families affected by divorce when kids are involved. This is her life’s work and through her organization she has touched so many lives. 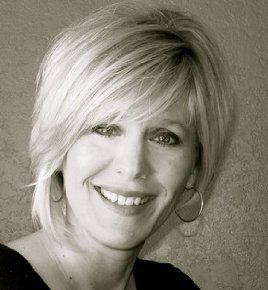 Christina is the author of Parenting Apart: How Separated and Divorced Parents Can Raise Happy and Secure Kids. I’ve read the book and it’s really filled with nuggets to help parents navigate the unchartered waters that are presented when divorce hits home. I wrote a review of the book and highly recommend it to dads and moms who want to raise happy, healthy kids from separate homes. I’m honored to share this post by Christina on keeping special days such as Fathers’ Day special for kids although their parents live separately. I strongly encourage you to not only read it, but also to pass it on to others who would benefit from it. I’m excited to say we’re doing a giveaway of the book! Many of our readers and followers are dads who have been impacted by divorce and separation. So I think that this book can be a useful resource to help both dads and moms learn how to effectively raise happy, well-adjusted kids even when their relationships don't quite work out. Now here’s how it works. Just simply post a Happy Fathers' Day greeting to your dad, your husband, brother or that someone special and we’ll submit your name for a random drawing. If you’re reading this after the special day, then that's fine as well. What matters is your kind thoughts and words and celebrating the wonderful dads in our lives. Be sure to leave your name with your submission - just your first name is fine. We’ll close the submission period on Tuesday, June 21. Then on Thursday, June 23, we’ll announce the winner in the Comments section of this post. We'll also announced it by Twitter and on our Facebook page. If you're the winner, please send your mailing address to: info@theupbeatdad.com. We'll then get the book to you ASAP! Do send a greeting in this giveaway because I believe that they encourage each of us to celebrate the special dads in our lives. Remember this is a random drawing - not a competition - so feel free to send a greeting to your loved one as we celebrate Fathers' Day. Enjoy reading this post by Christina McGhee. And I hope that you and yours have a wonderful Fathers’ Day. 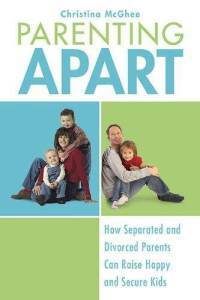 by Christina McGhee, author of PARENTING APART: How separated and divorced parents can raise happy and secure kids. My husband is an amazing Dad. So when Fathers’ Day rolls around I usually get just as excited as my kids about making the day extra special. The thing I love most about Father’s Day - that indescribable mixture of self-pride and excitement my kids get when they give my husband that special something they either created or picked out. The days before Fathers’ Day are usually just as rewarding. Our home becomes filled with secret whispers, sneaking around and a multitude of not so subtle hints. All the grandeur of this occasion is typically followed by a tremendous amount of boasting about how their clever plotting and planning left Dad totally clueless (wink, wink). For them, doing something special for Dad matters a lot. As Fathers’ Day approaches here in the states, I can’t help but wonder how many children will lose the experience of making their Dad feel special simply because their parents don’t live under one roof anymore. Professionals regularly remind us of the big boxes to tick, “Don’t fight in front of the children,” “Don’t speak badly of your ex” and “Always put your children first.” Yet, what about those smaller boxes such as special days and family events? What do you do about those? It’s not hard to understand how those special days can be quite painful for us as parents. For some, they serve as agonizing reminders of old hurts or stir up heartbreaking feelings of loss. While it’s easy to get caught up in the “I don’t owe my ex anything” mentality, keep in mind you do owe your kids something – the opportunity to love and cherish both of their parents. Certainly it’s not to say that those feelings aren’t justified or that you’re not completely entitled to feel them. However, remember it isn’t about your ex; it’s about your children. Some parents already have arrangements in place regarding how special days will be handled. If you don’t have something worked out, consider talking to you ex about the situation. Take out a calendar and make note of where special days fall during the year. Consider what’s important to your kids and think through what you could do to alleviate possible tension around those dates. If it’s important to your ex to be with the children on their birthday, then offer to switch days or adjust the schedule. 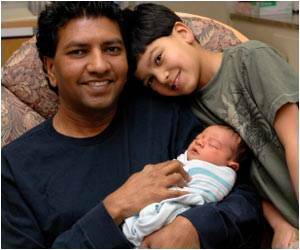 If Fathers’ Day is on your weekend, suggest making arrangements for the children to spend the day or weekend with Dad. It might also be helpful to think about situations that involve events with extended family such as Aunt Marge’s annual summer barbeque or Grandpa’s family reunion. Talk with children ahead of time about what they would like to do for Dad/Mom on their special day. Listen to their ideas about how they would like to honor their parent and follow their lead. Remember, it’s okay to set appropriate boundaries around what you can and can’t do. Be mindful that younger children will need more guidance about how to make the day special. Although older children are more capable and independent, they will probably need a reminder and your support. Consider asking what their plans are for that day and if they need any help. Although it may not seem like much, in the long run, it will mean something to your teen. Make sure you are supporting good choices and keep gestures for the other parent appropriate. If your children want to buy Dad a shirt, don’t help them pick out the ugliest, cheapest shirt you can find and wrap it with glee. Likewise don’t go to Macys and help your children pick out something for Mom that’s two sizes too small. Fantasize about it all you want but for your children’s sake, steer clear of temptation. If money is an issue, consider lower budget options such as helping children make homemade gifts, framed photos, special cards or baking Mom or Dad’s favorite dish. Unfortunately no matter how hard you try to do right by your children, you have no control over the choices your ex makes. If your ex isn’t willing to help the children, you can still offer them the chance to feel good about the day. Plan a trip to the zoo, declare you require an obscene number of hugs for Father’s Day, take kids shopping and let them help you pick something out or cook your favorite meal together. If your ex won’t adjust the schedule or there’s significant distance between your two homes and you can’t be with your children on the day, let kids know you will celebrate the next time you are together. Over the next week, I invite you to think about how special events have been celebrated in the past with your children. What can you do this year to help special days stay special for your children? 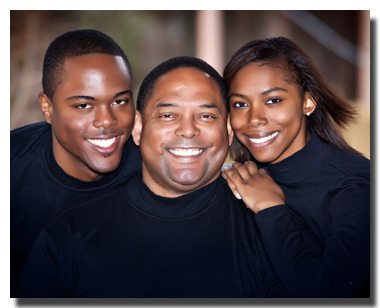 If you have a story to share about how you’ve handled Father’s Day, please leave a comment. We’d be delighted to hear what worked for your family. Christina McGhee, is the author of PARENTING APART: How separated and divorced parents can raise happy and secure kids and co-creator of the award winning children's DVD program about divorce, Lemons 2 Lemonade: How to handle life when things go sour between Mom and Dad. I decided from Day 1 that no matter what my kids will know its ok to love both parents and to share special times. Over the years I think its always important to allow my kids to get their dad a gift for Christmas/ Fathers Day/ Birthday, etc. I step out of the way and they pick it out. I usually give them the $ to purchase what they are getting and even give them a budget but I know how important that is to them. I have even gone as far as giving them $ for their step mom and step siblings. Its not about me and the kids love giving gifts. As they are getting older, I am encouraging them to earn $ to help out but its showing them that no matter what, I care about them. This year my 9 yr old decided she wanted to bake a cake for her dad, so guess what. I bought the items needed and helped along the way but what I do know is how proud she will feel to show him what she has done. Its ok to put your hurts aside here and there and do this for your kids, even if your ex doesnt do that in return. Thats not what matters.